This article addresses some of the basic code requirements pertaining to fire doors, in hopes of making them a little less mysterious. The best way to find the answers is through asking the right questions. Where can I find the code requirements for fire doors? National Fire Protection Association (NFPA) 80, Standard for Fire Doors and Other Opening Protectives, is referenced by the International Building Code (IBC), International Fire Code (IFC), NFPA 101, Life Safety Code, and other codes and standards. 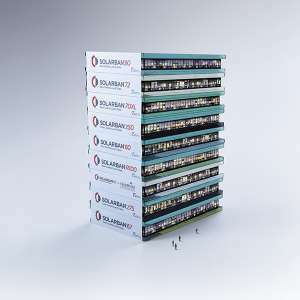 NFPA 105, Standard for the Installation of Smoke Door Assemblies and Other Opening Protectives, addresses smoke doors and is also referenced in these publications. 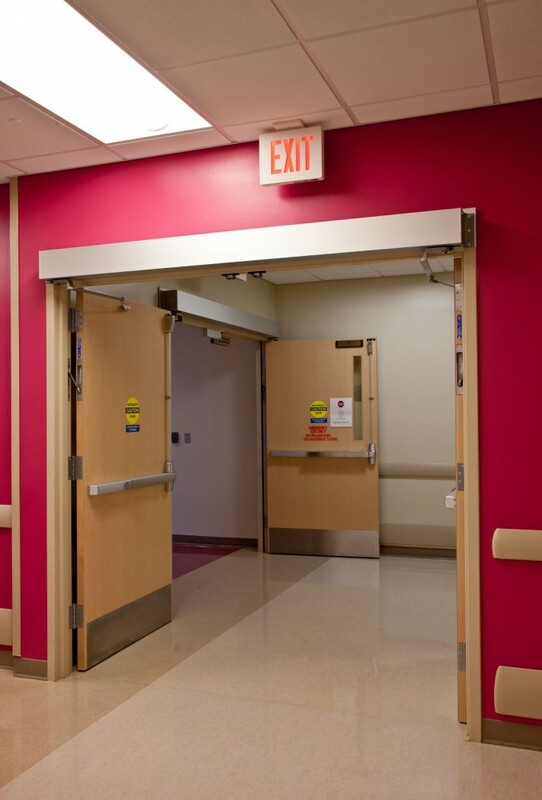 Some fire door requirements are included within the applicable building or fire code, but NFPA 80 and 105 are referenced for many of the detailed requirements. For product-specific issues, the manufacturer’s listings must be referenced. For example, to find out the maximum fire door size available from a particular manufacturer, one should consult Underwriters Laboratories’ UL Building Materials Directory or Intertek’s Warnock Hersey Mark Directory. 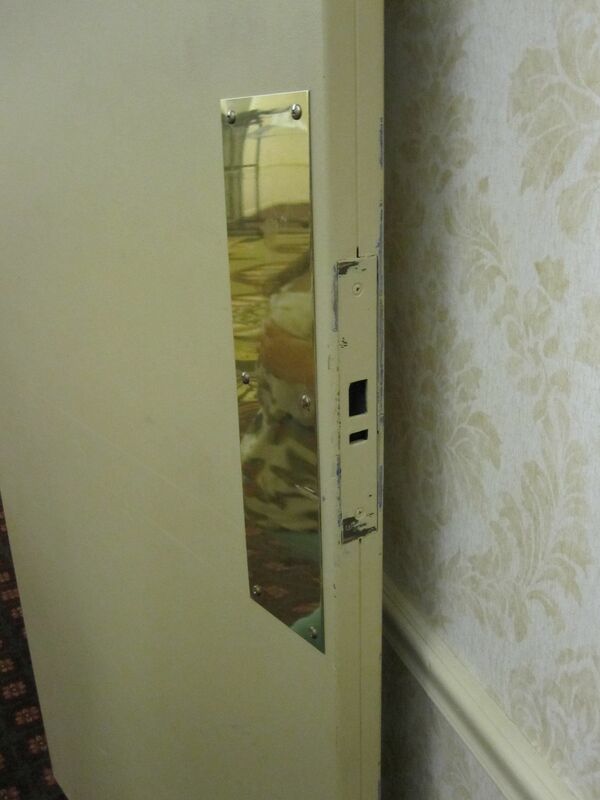 Fire doors are typically required to latch, but defective latching hardware is sometimes removed instead of replaced, as illustrated in this photo of an existing fire door in a hotel corridor. How can I find out more about an existing fire door? Each fire door is labeled with a permanent label that must remain legible. Fire-rated frames may have a label or embossment from a listing agency. The door and frame labels contain a wealth of information, including the manufacturer, length of time the component is designed to resist fire, whether the opening is to be equipped with fire exit hardware, and whether the door carries a temperature rise rating or is a smoke door assembly. Fire door labels usually include a number allowing manufacturers to access more information about the door’s original construction. Frame labels may state a fire resistance duration longer than that of the door. In this case, the assembly’s rating will be the lower of the two. Some hardware, such as fire exit hardware, will also be labeled, but the information on the label is typically less detailed. How do I know what fire resistance rating I need? The building code mandates the required fire resistance rating of a wall in a particular location, and also states the required rating of the opening protective, or fire door assembly. The fire resistance requirements for various types of fire walls, fire barriers, and fire partitions, as well as smoke partitions and smoke barriers can be found in Chapter 7 of IBC. The 2012 edition of the International Building Code includes new tables that help clarify the opening protective requirements. 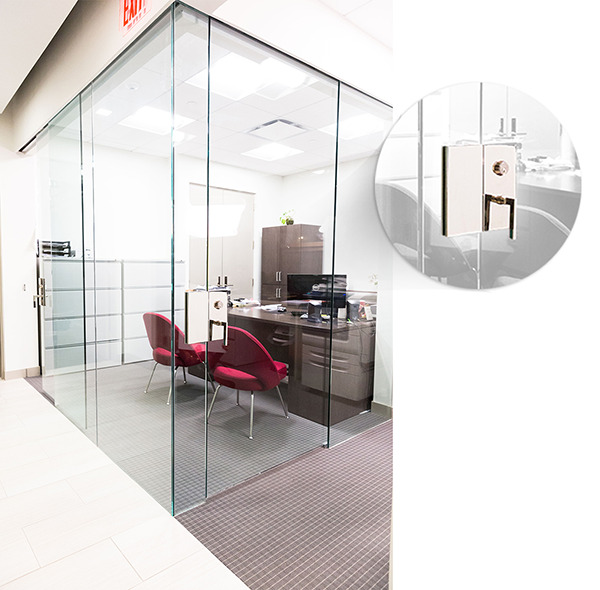 For example, Table 716.5 states a two-hour exit enclosure requires a 1 ½-hour fire door assembly, and lists requirements for the glass used in that assembly. The rating of the door assembly is often less than the required rating of the wall, because it is assumed the door will have a lower fuel load since no combustibles (e.g. furniture, storage, etc.) will be piled in front of the door. If a fire door is no longer needed, it should be removed and replaced with construction of the same rating as the wall to accommodate the potentially higher fuel load. Fire doors equipped with fire exit hardware will have a label stating this, which indicates the door is properly constructed and reinforced for fire exit hardware. When are temperature-rise doors required? Temperature-rise doors are designed to limit heat transfer from one side of the door to the other. If there is a fire on one floor of a building, there may be a need to limit the transfer of heat to the other side of the stair door, so building occupants can exit safely down the stairwell. The increased use of sprinklers has resulted in reduced requirements for temperature-rise doors. The 2012 IBC requires doors in interior exit stairways/ramps and exit passageways to have a maximum transmitted rise in temperature of 232 C (450 F) above ambient at the end of 30 minutes of exposure, but also includes an exception stating temperature-rise doors are not required in buildings equipped throughout with an automatic sprinkler system. For the convenience of building occupants, how can fire doors be held open in a code-compliant manner? Fire doors must be closed during a fire to compartmentalize the building and prevent the spread of smoke and flames. The intent is to protect the means of egress and allow building occupants time to evacuate safely. If fire doors are blocked or wedged open, they will not be able to do their job and protect the building and its occupants. There are acceptable ways to hold open fire doors, using electromagnetic holders, or closer/holder combinations that contain integral smoke detectors or are initiated by the fire alarm system. When smoke is detected, the doors close, and provide 20, 45, 60, 90, or 180 minutes of protection. Fire doors are sometimes referred to by a letter designation—A for three hours, B for 60 or 90 minutes, and C for 45 minutes (20-minute doors do not have a letter). However, using the number of minutes is the more common practice. A fire door with a standard closer and no hold-open capability is called ‘self-closing,’ fire doors that close on fire alarm are ‘automatic-closing,’ and fire doors with automatic operators are called ‘power-operated fire doors.’ Doors in this last category are required by NFPA 80 to become disconnected from power upon fire alarm, so they are manually operable and cannot be held open automatically. What is positive-latching, and is it required for all fire doors? Hardware on fire door assemblies has to have an active latchbolt to prevent the pressure caused by a fire from pushing the door open and allowing smoke and flames to spread. 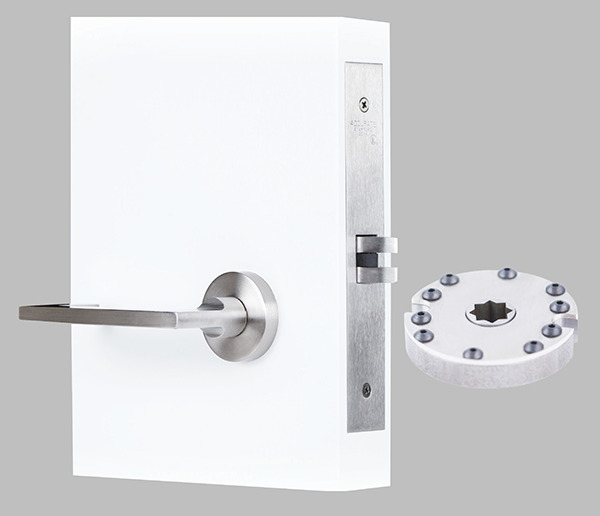 A springlatch found in a standard lockset or latchset is considered an active latchbolt; some fire door configurations require a specific ‘latch throw’ (i.e. dimension of latch projection). When an automatic operator is installed on a fire door, the operator must be deactivated during a fire alarm. This can impact accessibility requirements if the operator was installed because the door lacked the proper maneuvering clearance for a manual door. A deadbolt is not an active latchbolt, because it can be held retracted. An electromagnetic lock does not provide a positive latch, because there is no latching mechanism and the locking is accomplished when the electromagnet bonds to the steel armature. Electric strikes used on fire doors must be fail-secure—that is, when power is cut, the latch is securely captured behind the strike keeper. A fail-safe electric strike could allow the door to become unlatched, so such strikes may not be used on fire doors. Some vertical rod fire exit hardware for pairs of doors can be installed ‘less bottom rod’ (LBR). These devices use the top rod and latch only, with no bottom rod or latch. 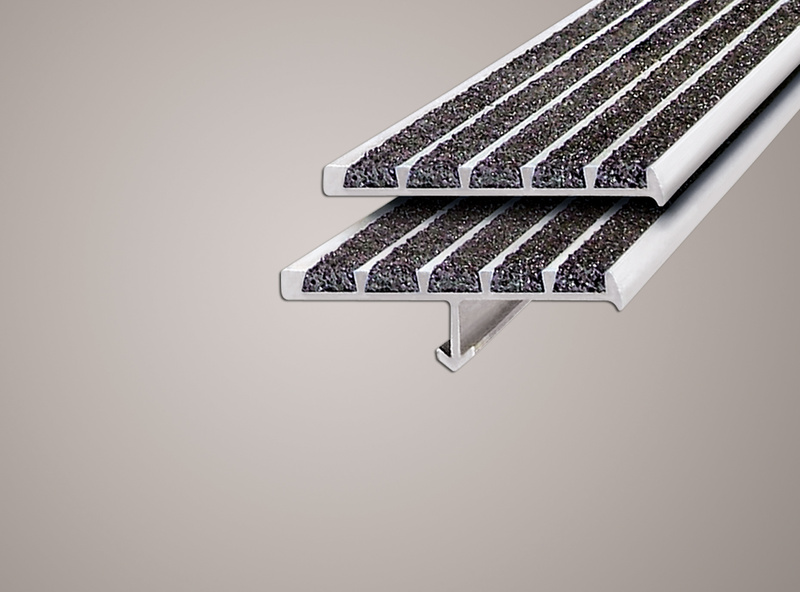 The advantage is there is no floor-mounted strike, and no bottom rod or latch to become damaged by carts or traffic. This configuration can sometimes cause a reduction in security, because it may be more easily defeated with only one latching point at the top of the door. In most cases, doors with LBR devices are required to have an auxiliary fire pin, which mounts in the edge of one door and projects into a hole in the edge of the other door if there is a fire. Do fire doors need smoke gasketing? Are smoke doors also fire doors? NFPA 80 and NFPA 105 do not specifically state fire doors and smoke doors require smoke gasketing. The key is to check the applicable code or standard, such as the International Building Code, for a limitation on air infiltration, typically a reference to UL 1784, Air Leakage Tests of Door Assemblies, as the test standard. For fire doors and smoke doors in certain locations, the limit for air infiltration is 0.02 m3/(s • m2) or less as tested at a pressure of 0.02 kPa (3 cfm per square foot or less as tested at a pressure of 0.10 inch of water)—for most door sizes, this cannot be achieved without smoke gasketing. The requirements for smoke doors and fire doors depend on where they are used. For example, smoke barriers, smoke partitions, exit enclosures, and corridors all have varying requirements for smoke and fire resistance, and the applicable code sections must be consulted to see if a limit on air infiltration is established. When does a protection plate on a fire door need to be labeled? NFPA 80 allows non-labeled kick plates to be field-installed on fire doors as long as the top of the kick plate is not more than 406 mm (16 in.) above the bottom of the door. Many door manufacturers have tested with non-labeled plates up to 1219 mm (48 in.) high with no special requirements, but NFPA 80 currently requires a field-installed plate to be labeled if it extends above the 406-mm mark. 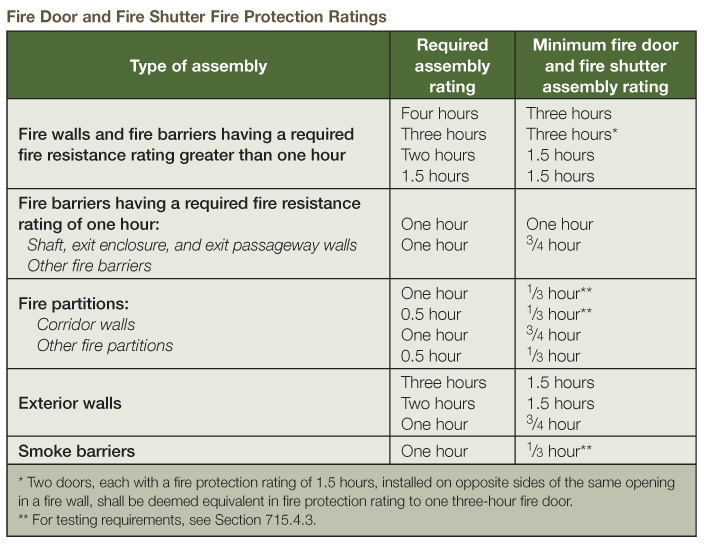 Table 715.4 of the 2009 International Building Code (IBC) details the required fire resistance rating of the opening protective (fire door assembly) for each type of wall. This information can be found in Table 716.5 of the 2012 edition, with additional details about the fire door requirements. What are the requirements for hinges on a fire door? NFPA 80 requires hinges and pivots to be steel base material, ball bearing type, and of a certain size, thickness, and quantity depending on the door size, thickness, and fire rating. One hinge is required for each 762 mm (30 in.) of door height or fraction thereof. NFPA 80 includes criteria for the use of hinges or pivots that do not meet the requirements listed in the standard, for example, hinges of a different material, size, or bearing type. Continuous hinges and spring hinges must be tested and labeled for use on a fire door. Although it may be tempting to use spring hinges instead of a door closer on a fire door for cost and aesthetic reasons, it is important to note spring hinges do not control a door the way a door closer does, and they need to be adjusted to keep them closing the door over time. In order to avoid having a fire door that either slams shut or does not close and latch, a door closer may be better-suited than spring hinges for most fire doors. A construction label indicates the door or frame is constructed with the same materials and methods as a fire door, but does not meet the requirements of the manufacturer’s label procedures. What is ‘positive pressure’ with regard to fire door testing? Positive pressure testing is a method of testing fire doors that more accurately simulates the conditions of a real fire than the test that was previously used—UL 10B, Fire Tests of Door Assemblies, also known as a neutral or negative pressure test. The International Building Code requires fire doors to be tested using the positive pressure test—either UL 10C, Positive Pressure Fire Tests of Door Assemblies, or NFPA 252, Standard Methods of Fire Tests of Door Assemblies, with the neutral pressure level at a maximum of 1016 mm (40 in.) above the sill after five minutes. Category B doors, which have applied intumescent material. A wood door specification should state which type of doors must be furnished for the project. What is a construction label and when would it be used? 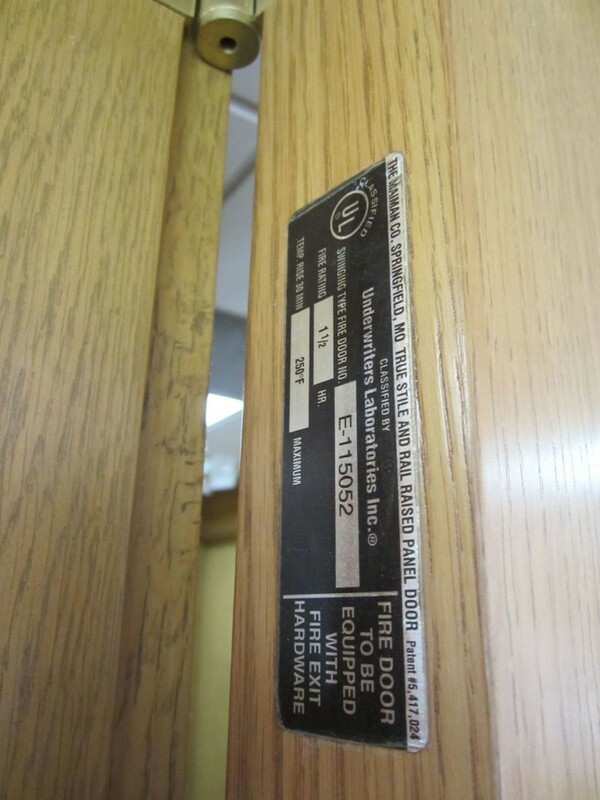 A construction label is applied when a door or frame is used in a location that requires a fire rating, but does not qualify as a rated product. For example, the door or frame may be a size that has not been tested, the jamb depth may be larger (or smaller) than the manufacturer’s listings allow, or the specified hardware may not be included in the manufacturer’s listings. This is not the same as a UL or WH/Intertek label, which certifies the product has been tested to withstand fire for the stated period. The construction label typically states the door or frame is identical in construction to a listed door or frame, but does not bear a listing mark from a testing laboratory because of size, hardware preparation, or other limiting factor. The construction label does not imply the door or frame is capable of furnishing standard fire protection, but that it is manufactured with the same materials and methods used in the manufacturers’ listings. The label is a means to permanently mark the product so all parties know at a glance the door or frame did not meet the listing requirements. To use a construction label, permission must be granted by the authority having jurisdiction (AHJ). Panic hardware installed on fire doors, like the one pictured above, must be ‘fire exit hardware,’ which will not be equipped with mechanical dogging—the ability to hold the latch retracted. Electric latch retraction may be used to dog fire exit hardware, as long as the latch projects automatically upon fire alarm. The 2007 edition of NFPA 80 (and all subsequent editions) require fire door assemblies be inspected each year by someone knowledgeable about the products. A list of inspection criteria is included in NFPA 80, and written documentation of the inspection must be kept for review by the AHJ. Deficiencies must be repaired “without delay.” This requirement becomes enforceable when a jurisdiction’s fire code references an edition of NFPA 80 published in 2007 or later. The 2009 and 2012 editions of NFPA 101 also require certain egress doors to be inspected annually. NFPA 80 has always required fire door assemblies to be properly maintained—the 2007 edition just added more detailed requirements and included a specific time frame. Due to improper modifications and lack of maintenance, the condition of many existing fire doors has rendered them unable to perform in the event of a fire. A fire door blocked open with a wood wedge cannot stop the spread of smoke and flames, and damaged latches that have been removed instead of replaced could allow the door to be forced open by the pressure of a fire. Although a jurisdiction may not be officially enforcing the annual inspection and documentation, fire door assemblies are required to be in good working order. Conducting an inspection and making the necessary repairs can mitigate the risk and liability of having fire doors that will not function properly in a fire. Inspecting newly installed fire door assemblies—a requirement of the 2013 edition of NFPA 80—ensures the building owner has a code-compliant installation to begin with, or allows the deficiencies to be repaired during the warranty period. Lori Greene, CSI, AHC/CDC, CCPR, FDAI, is the codes and resources manager for Ingersoll Rand Security Technologies. She has been in the industry for more than 25 years, and used to be a hardware consultant writing specifications. 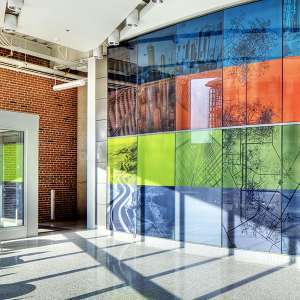 Greene is a member of CSI, the Door and Hardware Institute (DHI), the International Code Council (ICC), the National Fire Protection Association (NFPA), and the Builders Hardware Manufacturers Association (BHMA) Codes and Government Affairs Committee. She has a monthly column on code issues in Doors & Hardware, and blogs at www.iDigHardware.com (or www.iHateHardware.com). Greene can be contacted via e-mail at lori_greene@irco.com. Do you need a smoke seal when using a continuous hinge? smoke seal causes problems when door is closing. I have heard that you do not need smoke seal when using continuous hinges. If this is true can you direct me to a website that states that this is true. Is it needed to be the door closer fire rated? Because when the smoke or flame arises the door should be closed and seals must be activated.Means, no point is there for having high cost fire rated door closer. Do you need a smoke seal when using a continuous hinge? If so, can you direct me to where it states it. Is it possible to get an existing door fire rated if it is not currently rated? How much the thickness of face sheets of door leaf should be for 20 min fire rated door? 1.5 mm steel sheet is OK or no it should be thicker ? fitting fire door on a sloping floor, when door is closed it has a 25mm gap on handle side of door, customer not keen on having a threshold fitted how can i or do i need to do anything and still keep within fire regulations. Can a fire rated door, in say a condominium, still be fire rated if a panel is cut out and put back with spring loaded hinges to allow a dog or things to pass thru? Does putting any rubber seal or gasket help or make it conform? No it was not tested that way to receive the fire tag on door. Only option would be a UL Listed fire rated dog door matching the door rating probably 20 minutes if it has spring hinges but check tag on door. Thanks for the valauble information !! You have elected great topic to write as I too agree that Fire resistant doors are required with the intention of resisting fires and flames and used in both domestic and commercial applications. Fire safety responsibility may be shared by more than one person. It is the duty of the responsible person(s) to ensure that a fire risk assessment of the premises is carried out. In my 4 story apartment building there are 7 stairwell doors/fire doors. Someone has drilled 3 holes and installed a door stop at the bottom of one of these doors on the egress side of the door, and person or persons unknown frequently open this door and block it open with the doorstop, including during nighttime periods when tenants are asleep. Is this legal or is it a violation of the building codes or other laws, codes or ordinances? Hi! Do fire doors require a glass in them? I’m working with designers on a “high-end” hotel chain here in NYC. The designer is asking for a wood clad to be applied to the rated frames in both public spaces and on the hotel rooms throughout the building. It’s been my experience that combustible materials can not be in direct contact with a rated metal frame, without being tested as an assembly. Is there a separation material that can be used to facilitate the cladding, or do I need to revise the detail to accommodate a separation, and give the designers the bad news? I have a damaged smoke door. What is the minimum time required to get the door repaired? I have stained flat wood fire doors. what can i do or use to place trim on the doors to give the effect of a panel door and paint white, without voiding the rating? Will i haft to get it re rated & sealed? What is the maximum gap allowed on the bottom of a 90 minute door in a 2-hour wall? is hardware on 0hour rating requiring to be with fire label? protection plates higher than 16” with “UL” label? IUL label is more expensive than WH label, are they equivalent? UL label is more expensive than WH, are they equivalent? What is the purpose of fire rated door for residential projects? The reason of having a fire rated door is to protect you from fire. As the regulation stated you are not needed any self closer on the doors which without it make the fire door useless. Usually the fire happens and expands during the night when people are not careful so the fire door with self-clsoer can protect the occupants of the building. Can someone bring more light into it? Another important feature of the fire door is the bottom gap, which from my point of view is very dangerous when it comes to fire. When a fire takes place you are ( as a occupant of a building) more likely to open the window to get fresh air and find a solution to escape from fire. This is very wrong as fire needs air to expand and will get more power. So by opening the window you will reduce the chances of the door to achieve their purpose of 30 min fire barrier. The commercial part of fire regulation is very clear and all the doors require self-closer and so other signs. Is there any reduction in code required Fire Doors if the Building is Sprinkled? I work in an old hospital that recently had one of its floors designated a “business” occupancy. On the floors above are a dialysis unit and an operating room on the floor above. Recently, the smoke barrier doors on the “business” occupancy rated floor were removed. I don’t know why, but in my opinion if you already have a life saving feature in place, why would it be removed? I assume management would say it would save on maintenance costs…but at the expense of safety?? Great for sharing this information. Really helpful. Moreover, One intelligent idea in making the most of safety doors is to add a fire seal to the nearly inevitable gaps that surround the doors once they are installed. Question: On a fire rated door does the vision glass frame is it required to be of metal material, door are in corridors. If so may I please get the NFPA standard. Question: On a fire rated door does the vision glass frame is it required to be of metal material. May I please get the NFPA standard. Is it required to have a fire rated door for the door entering into the garage on a residential home? I’ve never heard of this before, however, it has come up on my home inspection report and the Buyer’s want my seller to do this. Is it required to have a fire rated door for the door entering into the garage of a residential home? Buyer wants seller to install a fire door. Thanks much for some valuable information and insights into issues related to Fire Rated Doors. What are the comparative advantages/disadvantages of Timber Fire Rated doors and Metal Fire Rated Doors. …For doulble leaf doors is a rebated meting stile detail essential– if so, swing coordinating door closer would be required, which are expensive and prone to failure… what other options are possible. Thank you so much for these information! Such a big help to those who are planning to install fire doors on their establishments. These types of doors can also be opened from the outside and only use in the emergency situations. Moreover, the fire door is built with such a care that there is hardly any chance of breaching the security of these doors. I have a devise that is patent pending in the USA and Canada. It helps teachers and students keep the classroom door locked or unlocked without having to use a key. My issue is that on a fire rated door our product is only used for the 5-7 minutes while the kids are coming into the classroom building. When class starts the teacher retracts the latch and the door strike will no engage the door jamb. This is a similar action: that is used in the hotel rooms across the USA. The hotel rooms are Fired Rated, and I’m trying to find the information that states it’s code compliant. I have school districts that are interested in purchasing my product, but we both want to follow code. Any and all info would be great!!!! drilling through a fire rated door for door closures ect. How do you make sure they would still be rated? most closures and other attaching hardware is usually a solid bolt. wouldn’t this be acceptable? 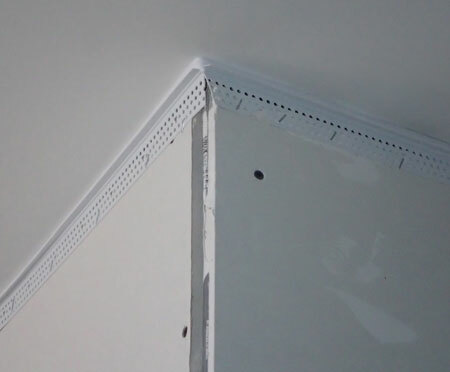 would you need to put fire retardant glue or filler? could adding mag locks to fire rated doors reduce or diminish the fire rating? Does a 100+ yr old, 2 story/ 2 family house need to have the existing solid core apartment doors be changed to new fire rated doors? Can doors within the smoke compartment be non rated doors? 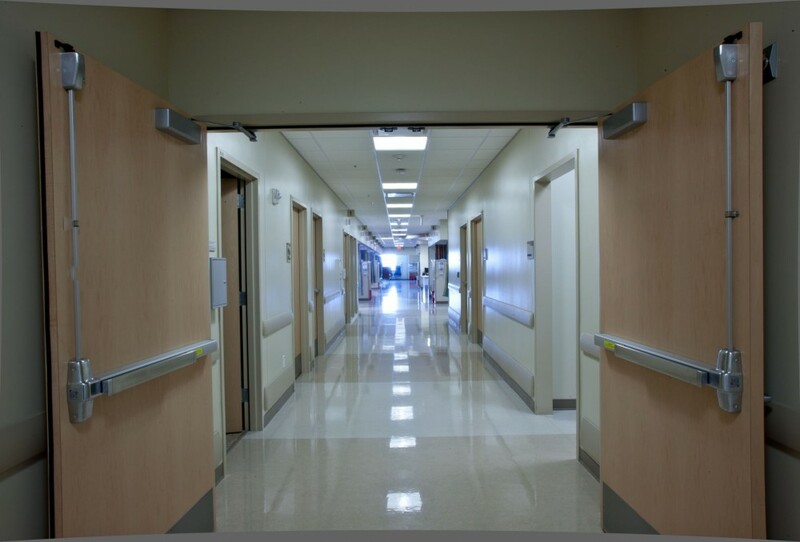 Such as doors to patient rooms within the compartment that are not fire doors. WHAT IS THE MAXIMUM SIZE OF THE SAFETY GLASS VISION PANEL ON A FIRE DOOR? if a building exists already and a section is added on. does the door need to stay? Is there fire codes or other reasons that would prevent us from replacing our current two-door Exit Fire Doors located on the 5th floor Elevator Lobby (which needs replacing due to rust over the frame/doors) with a single-door (3.5 foot width or 4 foot width), which are similar to our Fire Exit Door on the 4th floor Elevator Lobby? Why use push plate in fire door and how to use it in the fire door? Fire doors can be crucial in saving your life, but only when they are fitted correctly. Incorrectly installed fire doors may only provide 5-10 minutes of fire resistance. Therefore, it is absolutely essential to follow all the fitting instructions as well as keeping them closed at all times. Fire Doors plays a crucial roles in our life. It could save or even minimize the damage to the person who has been stuck due to fire. In installing fire doors it needs to follow guidelines in order to make it successfully. Can I add an additional piece of hardwood to the bottom edge of a fire door without negating the fire certification. Can I pin and glue using a fire retardant glue ? Can a mail slot be installed in a fire door ? Like many companies, there is no longer a receptionist sitting at a desk behind a glass partition between the office and the lobby. Consequently, mail and couriered packages are often simply left on a chair in the lobby. Some of the items are sensitive and should not be left lying around. Do entry doors of an apartment complex need to be fire rated if they aren’t enclosed in the building? They are on exterior walls but the plans are showing the walls to have a 60 min. rating. My question is kind of backwards but here goes. I live ..in a rented 2 bedroom appartment which has a seperate entrance.I am on the 1st floor accessed by front door and stairs.The doors to the bedrooms, kitchen/living area are all ordinary doors.Should these be fire doors? In the plans and Fire Certificate BS 5588 Part 1 Section 9.5 is quoted for not having them.Is this correct? Is there current leglislation governing this? This appartment is part of an appartment block in Galway. I would really appreciate it if someone could help in pointing out the definitive Acts etc covering this. Taking proper precautions is a necessity to protect your life and the lives of your family. Thank you for sharing this wonderful and helpful blog. Very informative and useful in choosing the right fire rated doors project. Sir i want to know, which type of materil is used for fire resistence door. Plz inform me with material & its melting point.. Does every interior door have to have a label? for example storage closets? electrical rooms etc. where can i find this in writing? I appreciated the insight about how much information fire rated doors and frame labels can contain. I’d heard the house I just moved into has some. However, I’m not sure what condition it’s in. I’ll have to check to see if it needs to be replaced. And subsequently no answer to the question in the heading. Doors that are resistant to fire may also suffer breakdown as a result of constant use. There is no other good option but to conduct the right fire door inspection. To obtain the services of a door inspector for these special doors is an obligatory rule. 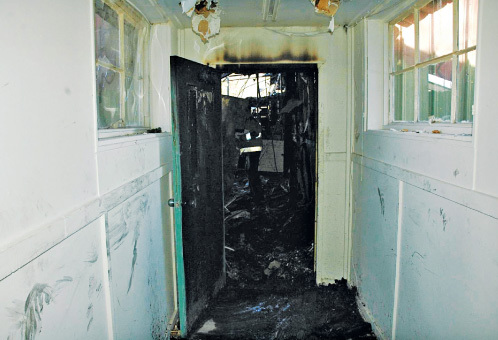 This is done to ensure that doors would function properly in the event of a fire disaster. What are the document OR certification is must with fire rated or HMPS doors from manufacture. What is the maximum distance to place a smoke detector from the door for door holders in a fully sprinkled residential building? could anyone be kind to confirm if there is a code in the NFPA that says that external egress doors need to be fire rated? say a steel door installed in the fire exit stairwell leading to the outside ground level. responses are very much appreciated thanks!. Can you please let me know what a label that say “non rated fire door” means. Can a part countious hinge be cut out to see fire door label on door? where do I find the exact reference to being able to use fire door pins in lue of the bottom rods and latches on exposed vertical rod panic devices. We have a four hour set of Steele double doors and only latch on the top. We have two hour wooden doors that need top and bottom latches so we had fire pins installed. My question is that we don’t have to have the steele doors have top and bottom latches, is this legal? We have a warehouse that has garage doors that has the automatic fire doors. Only one has an automatic fire door on both sides of the door and the other has one. Is it necessary to have the automatic fire doors on each side? How long after a fire door inspection does the building owner have to make repairs to the doors that didn’t pass inspection? My Utility room has a fire door between it and the rest of the house. There is also an exterior door leading outside, does it also need to be a fire door? if the door is thru bolted for hinging does that negate the fire rating? Is there a device that can be used on an evacuation ladder to prevent people from continuing down to the basement when the exit is on the first level? Is it considered a fire hazard to have your office door window covered so that no one can see inside? The threshold on our residential fire rated door is damaged. Is it possible to replace the threshold without compromising the door? If molding is applied directly to a flush door and it’s a 20 minute rated door, does it still maintain the 20 minute rating?? I am in a power chair and the steel fire door closes on me or grabs my fingers. Is there something that can be added so that I can make it in and out safely and still have it comply? is there any integrity effect in using wood flooring , carpet underneath a fire rated doors? it is ussually found in hotel entry doors having a FD60 fr rating. Is there a permission allowing a fire screen door to be propped open for ventilation if a properly trained individual is assigned to stand watch in close proximity of the door? I want to use a fire shutter on an interior window that is getting put inside a firewall. Does the window itself have to be fire-rated also? Or does the shutter only meet the requirements? Hello, I work in a commercial warehouse type of building with an office in the centre of the basement with no windows, two doors to get in and out of. Recently, someone decided to apply a FIRE DOOR, Keep closed on our most used door in. We do not have that much of an issue with it until we started to be told that it must be closed at all times, including when we are in the office. We are not willing to do this because the HVAC system in this building is terrible and the office is either too hot or too cold. Our pushback includes that if a fire drill were to happen, our warden would pull it closed when doing the office checks during a drill. Or we would ensure it is closed, or the janitor would when finished cleaning. So, does a fire door have to be closed as they say when we are all in the office? Maintaining a house fire and life safety systems will help reduce the amount of damages done to its structure by preventing fire and smoke from spreading. Reading these posts really helps me decide things and inspired me on what to do for my fire doors project at home. Thanks for sharing! My place of work is equipped with a sprinkler system and has fire doors that close automatically when an alarm is triggered separating the two major portions of the building. We were told that all other doors in the hallway must be closed at all times to be in conformance with fire safety standards. Is this true and where does it say so? This is a 24/7/365 continuously manned spaced. I purchased a condo in a condo building. We have 3 levels and fire doors between the levels. I noticed that the doors have regular door knobs. Is the correct type of knob for a fire door? Are there code requirements? The knobs do not have a lock, but they must be turned to open the door. As far as Fire Doors that link the outside with a hallway on each floor of an apartment building goes, Yes I can see that they have to be closed during a fire, but what law says that you cannot use these doors as long as you latch them in case of fire ? confusing apartment policies here. We recently moved into a retirement apartment. The internal doors have intumescent strips for safety. Some of the door closures have metal lining and several of the doors do not have metal linings leaving a simple cavity of raw wood. Is this an acceptable finish or does the unpainted unlined raw wood pocket create an increased fire risk? i am in a building that has been updated with sprinklers about 4 yrs ago .With that being said the listed fire doors on the floors that are to the dining rooms and the one from the nurses area are no longer needed because it is fully sprinklered both sides and we are 100% sprinklered. In a Condominium , the unit doors are closing with door closer, but some of them not latching . The reason , the residents install there own locks what is touching the door and prevent positive latching . Who is responsible for the repair or removal of the locks ? we have automatic roll down fire doors on our second story break room windows. we are going to remodel that room and need to bring supplies through the window. where can i find rules on disabling that fire door. Very Informative blog! A fire door is the most important part in the fire protection system. It prevents the fire from spreading across the building and keep the fire contained to a particular compartment or room. I have a set of wooden fire rated double doors that go into a church sanctuary from a foyer area. One of the fire rating tags was torn off by a lift and subsequently lost. I had a company tell me that I have to replace both doors. Is this true? Only one door is missing the label. Can you use a push / pull on a 20 minute rated fire door? I had manufactured 45 min fire rated doors for a small hotel, so happens that the manufacturer milled the interior depth of the Mortise lock a 1/4″ deeper. I was wondering what filler can be used and is this considered a on site modification allowed under NFPA 80 modifications. What’s the maximum allowed on the opening of the bottom of any fire coded door getting inspected by fire Marshals. Are you allowed to have as much as one inch opening at the bottom of the door? How do I determine if a fire rated door is needed in my specific area?